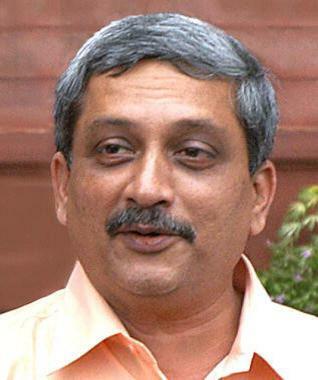 Three cheers to Manohar Parrikar - the new CM of Goa (above photo) who has reduced petrol price by Rs. 11 per liter. 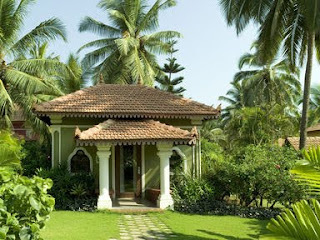 Three cheers to Taj Vivanta Holiday Village, Candolim, Goa for a super property and quite good service (first photo). Success concepts in pharma marketing based on the service concept? Succeeding in the services market is a Herculean task - today the hotel segment has a lot of potential for growth - still it is not a seller's market, say as it was 10 years back. There is a lot of competition and start-up hotels require more gestation period to break even. Moreover, growth is not guaranteed, since competition is making everyone eat the humble pie. The pharmaceutical marketing sector has always been ultra-competitive and now the challenge is to deliver the WOW factor every time to doctors, chemists, stockists and purchasing or indenting agents (in institutions). It is a well known fact, that sales happen not only on the basis of rationale but very much on emotional factors that bring customers to the brand experience again and again. For instance when the electrolyte energy drink products bring a satisfied smile on the patient's face, it is the greatest motivation for prescribers to continue prescribing the electrolyte energy drinks. How to offer the WOW factor? The first rule of delivering a WOW brand experience, is that the customer or prospect or influencer (like doctor) should never FEEL CHEATED. Cheating implies not living up to the expectations or promise made. When you enter Taj Vivanta Holiday Village, Goa you expect a certain class in the way things happen, the entry, the food quality and variety, the ambience, the soft skills of staff, service empathy, and the way they manage customer requirements or requests. It is not that each and every whim and fancy needs to be catered to, what is vital is the way the requests are managed, it is an art to say NO in an agreeable way! However, cheating implies being immoral, giving false expectations, manipulating, putting down another person, victimization, win-lose transactions, going beyond boundaries of a relationship (as in adultery or emotional cheating of one's life partner), absence of natural justice, or in simple sense not playing to the written and unwritten rules. When a Pfizer MR enters the clinic, the doctor has certain expectations on the deliverables and service inputs, if this is not done, the doctor feels cheated. It is so with all other companies - the expectations are based on the image of the company - the doctor has certain expectations to which the MR, product, and other service elements should live up to. The fundamental premise of servicing is that the service provider MR or field person or HO person has to be a problem solver. A person who does not give a problem as an answer to a problem but tries to offer a solution to the problem, is a problem solver. This requires, knowledge, commitment, involvement, messaging skill, analytical talent, imagination and creativity, presentation & persuasive ability to make the solution appealing. Creating the WOW experience requires investments to create such an experience - it is as serious an expenditure as capital expenditure to create new production facilities or expansion of manufacturing plants. Le Meredian has currently launched a campaign to create a WOW experience at the sensory level. Their cafes or restaurants are coloured to create a sensory appeal - for example at Le Meredian Delhi, as the elevator moves up and one sees the floor of the restaurant it looks like a coffee pattern, the aromas at various places are also controlled - for instance an invigorating and energizing aroma at the coffee cafes etc. There is a sensory basis for offering a WOW experience at Le Meridian today, and they have made huge investments to deliver continuously this WOW experience. Today, the challenge is to add value to service concepts in pharmaceutical marketing thus, rendering the WOW experience - yet at the same time, having an operationally sound philosophy. There is no point offering a WOW experience through financial profligacy. Striking this balance is the sagacious marketing approach of the present challenging times. Cheating is a universal phenomenon. The idea is to have systems and approaches that do not encourage cheating and always try and keep lowering the cheating levels - intraorganizationally between employees, between bosses and juniors etc and when transacting with external customers and prospects. This can be done through various system based approaches. This system based approach to promote maximum transparency is not easy - yet that is the only enduring philosophy or approach which works. When transparency is lost or blurred to tide over various challenges temporarily, weakness starts seeping in, and finally the system caves in one day. Manohar Parikker has a tough task - he has got his post on the basis of voter expectations - he has to deliver the WOW experience to his voters every day, it is not an easy task! Thanks for reading this blogpost, please scroll down, read all other posts, and feel free to recommend this blog to your acquaintances, click on older posts as and when required to read older posts.